A stool is traditionally a sturdy piece of a metal base and a seat or a wood item, you don’t expect that much from such a functional furniture piece. 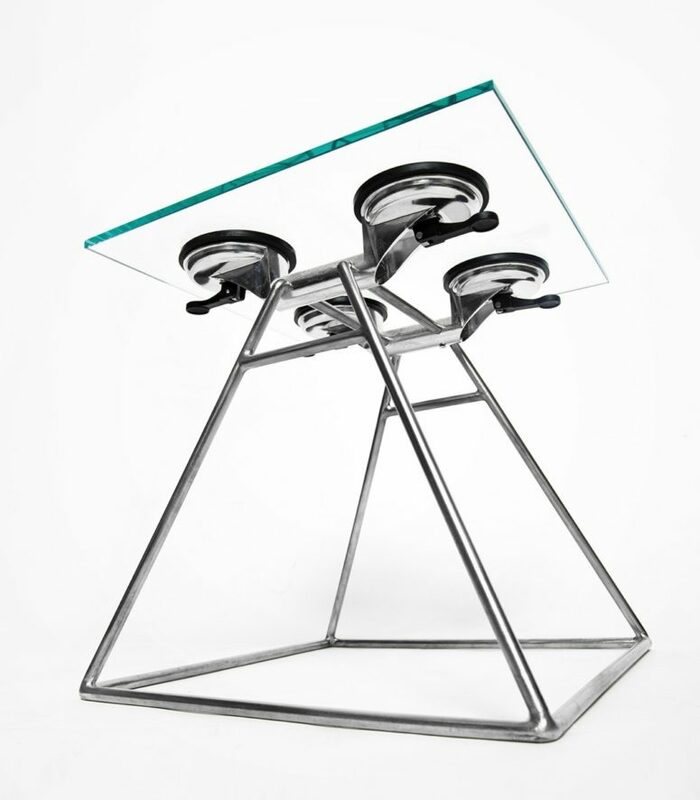 The stool we are sharing today is full of contemporary aesthetics and is sure to make a statement. 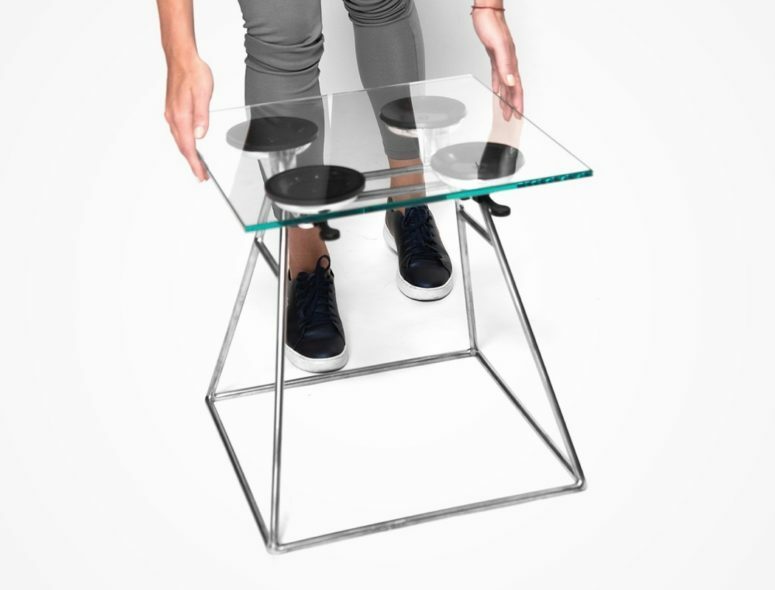 The Suction Stool by XYZ architecture features a unique construction which utilizes levered suction cups that grip on to a thick glass plate. 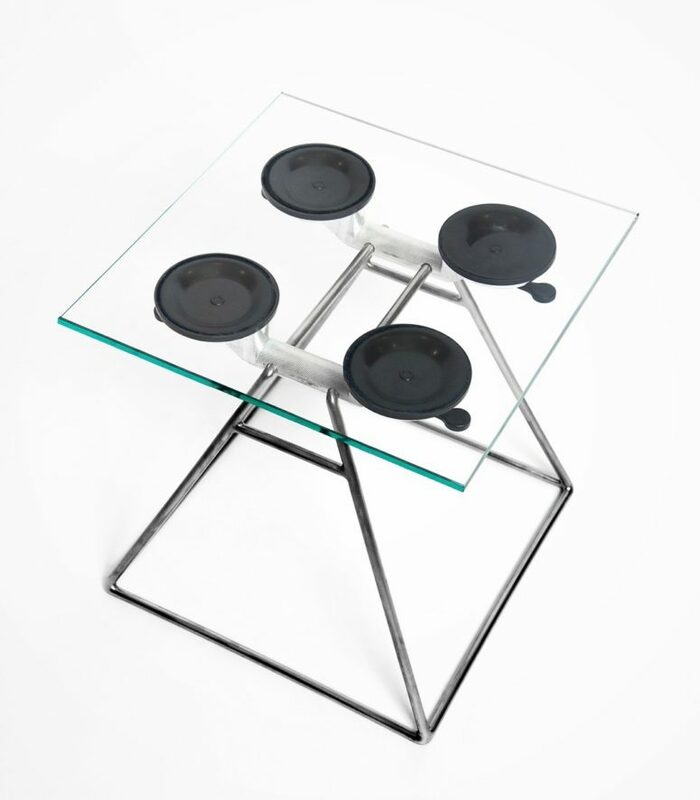 Featuring a skeletal metallic base, the furniture piece boasts integrated suction cups on the top portion that hold the plate glass seating section in place. This creates a durable yet discreet seating solution for the home that is perfect for smaller spaces where traditional furniture would draw too much visual attention and make a room feel more cluttered than it actually is. 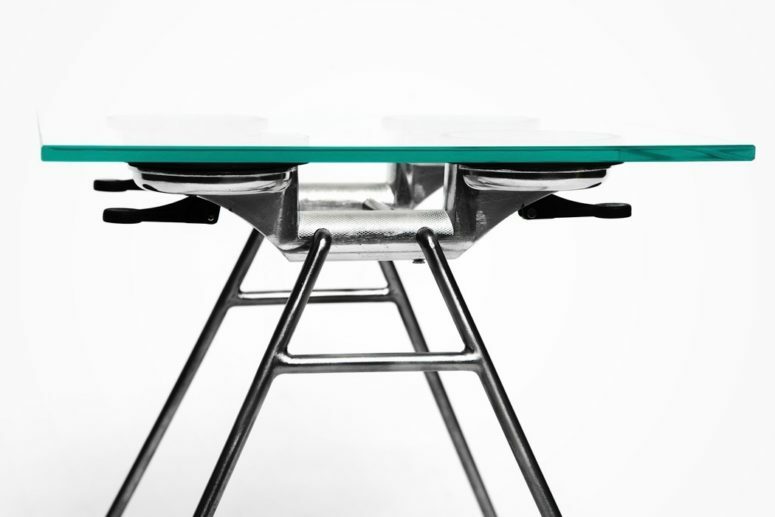 The piece has an industrial look and feel that is sure to be admired by those who love contemporary spaces where glass and metallic materials are abundant.